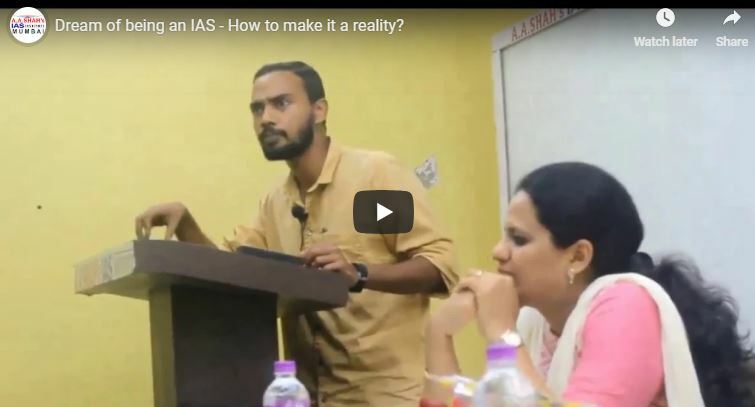 Dream of being an IAS – How to make it a reality? IAS Topper Sathish B Krishnan 2017 AIR 125 (Student of A A Shah’s IAS Institute, Mumbai) :Unique way of motivating IAS aspirants. Guidance lecture, must watch for candidates of UPSC – CSE.